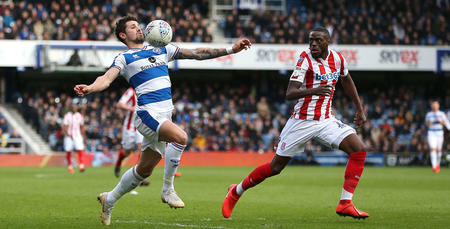 QUEENS Park Rangers have come away from Stoke with a point after an entertaining 2-2 draw at bet365 Stadium on Saturday afternoon. Steve McClaren was forced to make one change to the side that beat Brentford 3-2 before last week’s international break with Jordan Cousins coming in to replace Geoff Cameron who was unable to feature against his parent club. And Rangers continued right from where they left off when after just seven minutes they took the lead through an unlikely source in right-back Rangel. Ebere Eze cut in from the left and clipped a delightful ball into the box where Rangel was on hand to head past Jack Butland in goal. The goal seemed to spark the home side into life and after 21 minutes they levelled the match courtesy of Berahino. Joel Lynch’s attempt to play out of the back was intercepted by Tom Ince, who’s cross to the far post was nodded back across goal by James McClean, allowing Berainho to tuck home after a goalmouth scramble. Stoke began to turn the screw thereafter and went close to taking the lead when McClean rose to meet a corner but his effort rebounded off the post and into the grateful arms of Joe Lumley. The home side continued to pepper QPR’s back third but the Hoops defence stood tall to ensure that the two sides went into the break level. The second half began in and end-to-end fashion as QPR began to see more of the ball. Nahki Wells nearly had the R’s in front but his off-side effort was cleared off the line before Berahino struck an effort against the side netting at the other end. Stoke would find the go-ahead goal soon after in the 61st minute when Allen finished off a well-worked move, volleying home McClean’s nod down. 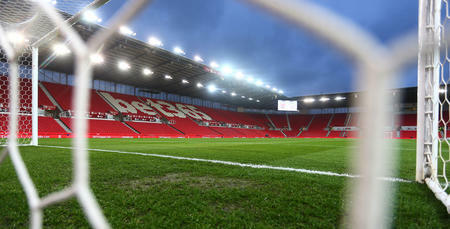 Fifteen minutes later and Stoke had the ball in the back of the net for a third time but Ince was adjudged to have been offside. Rangers would make Stoke pay just minutes later when Ebere Eze slipped in Angel down the right-hand side, the defender firing a delightful strike past Butland for his second of the match. In what was a frantic finish to the match, substitute Peter Crouch thought he had headed home the winner in the 90th minute but the linesman correctly flagged the striker offside. Neither side could be separated though as QPR recorded what was a well-earned point on the road. The R’s will look to build on their performance when they travel to Rotherham on Tuesday night. 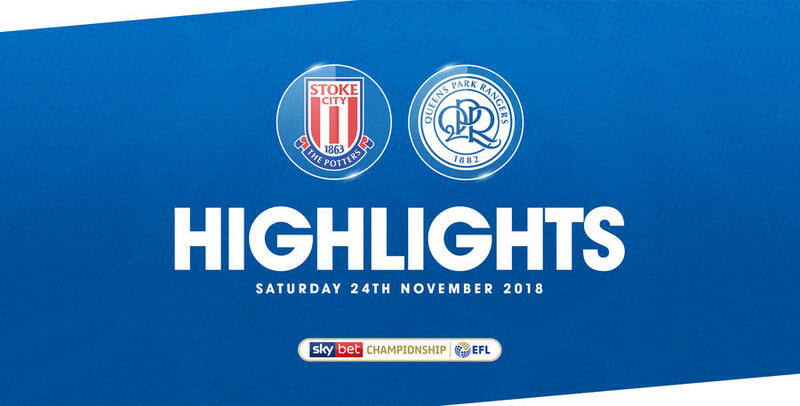 WATCH highlights from QPR's 2-2 draw with Stoke City at bet365 Stadium on Saturday afternoon.